Leaving Coober Pedy we said farewell to our rooms underground, loaded our bikes and headed south to Port Augusta as a midway stop on our way to Adelaide. the roadkill scene was still very evident and we noticed that traffic started to increase. 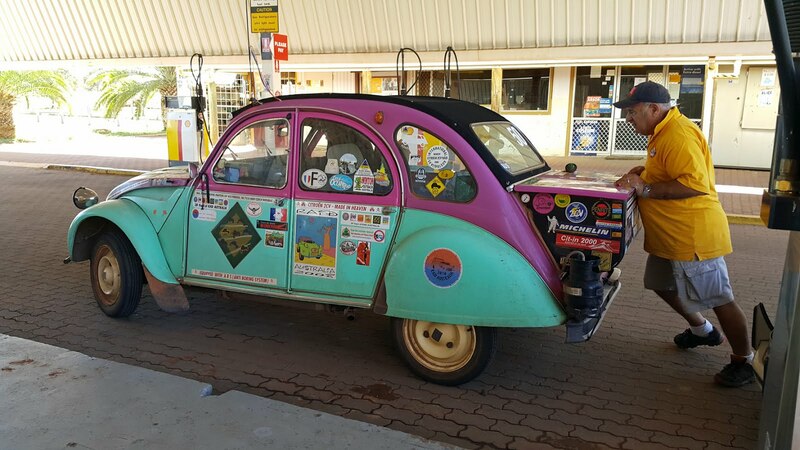 We stopped for fuel and Ali's mid morning coffee while the Citroen 2CV club caught up , we have been crossing paths now for two days. We reached our Motel which was right across from the gas station, and 10 minutes away by foot to a very good indian restaurant. When we got back to the motel we were discussing the ferry to Tasmania and so I entered the website to see when they depart and arrive when we noticed that they were sold out on the day we wanted to leave which was the 5th of September. So we reserved the next day the 6th of September and decided to stay in Melbourne one night.